MEINS G.S. COETSIER is the director of the Centre of Eric Voegelin Studies (www.evs.ugent.be) and the author of Etty Hillesum and the Flow of Presence: A Voeglinian Analysis. He wrote an article on Etty Hillesum in the Summer 2008 issue. In this article the author considers life in the 21st century and postmodern concepts of God, particularly the theories of political philosopher Eric Voegelin and evolutionary biologist Richard Dawkins. The author discusses the "war on religion" and the arguments in Dawkins' book "The God Delusion" that a supernatural creator does not exist and that belief in a god is a delusion. The author examines how Voegelin suggests how the divine can be oriented in modern civilization. The religious aspects of reality and evolution are also discussed. 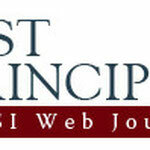 In "Conservatism and The Cultural Roots of Ordered Liberty" Prof. Dr. R.V. Young writes: Nothing is more crucial to our regard for personal freedom than our understanding of human nature and the human condition. In "Between Realities: Dawkins vs. Voegelin," Meins Coetsier applies the insights of one of conservatism's seminal twentieth-century thinkers to a perniciously reductive but widely and respectfully received account of mankind's origin and destiny. Coetsier maintains that Richard Dawkins's The God Delusion, one of the chief polemics of an increasingly powerful "global atheism," depends upon ignoring what Voegelin terms the "flow of presence"--the experienced spiritual reality that permeates and transforms the world of meter readings and mathematical formulae, a world that only exists in terms of abstraction and mechanistic reduction that serve the convenience of human analysis and manipulation. When we see ourselves, however, as no more than a sum of such analytic elements, then we are neither worthy nor even capable of real liberty. 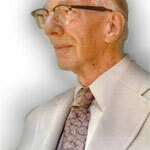 Voegelin is calling for a radical conversion to transcendent order3 by turning to what he terms "the flow of presence. "4 The deepest reason for attuning to the Presence does not lie in the weakness of our irrationality but in the possibility of recovering a spiritual understanding of what gives meaning to our lives. Our personal reorientation to the divine is the first step in bringing an elementary recognition of transcendent reality to our whole civilization. In a culture of an ever-growing information overload, amidst a global economic crisis, it is not easy to maintain our integrity, faith, and morals. In the midst of this climate of confusion, someone like Voegelin can encourage us to find an orientation towards the divine which is a little more palatable and hopeful. The divine inspi ration present in his life and works might seep through as we search for meaning and clarity in a very complex time. By an act of imagination, to "just go one god further," man can shrink himself to a delusional self that is "condemned to be free." To this shrunken or contracted self, God is dead or non-existent; the past is dead; the present is the flight from the self toward being what it is not. The future is the field of possibilities among which the self must choose its project. Moreover, freedom is the necessity of making a choice in a universe without God that will determine the self 's own being.12 Dawkins's choice against God is a self-sufficiency project called "atheist pride." The freedom of the contracted self, in Voegelin's terms, is the self 's damnation not to be able not to be free. The God Delusion represents sustained and often hostile attacks on religious institutions and religious belief by a man who seems to have lost awareness of the divine ground. Dawkins obviously intends to shock the reader, and his assault seems productive. By attacking the God of Sacred Scripture, he is trying to weaken traditional values and authority, which are based on God's commands—commands whose interpretation, in Dawkins's mind, has only led humanity to a shameful history of inquisitions, crusades, and jihads. The danger of The God Delusion is that reflections such as these, not kept in proper balance, can cause serious problems. Imbalanced and often hostile constructions, characteristic of the revolt, can cause the breakdown of religious, political, and intellectual institutions. Atheistic constructions can create a general problem of "spiritual illiteracy" and precipitate a disharmony within society. Voegelin believes that in order to keep society in balance, we have to keep that intellectual structure in order. So, if a whole body of ideas like philosophy, theology and religion should be rejected or distorted, then inevitably the misconstructions creep in. Nevertheless, one has to bear in mind that the search for gods or God and the construction of symbolism, which includes the divine and insists on God, are to be found long before classical philosophy. Dawkins reveals that although he was raised as an Anglican, he discovered Darwinian evolution at the age of fifteen and escaped from traditional religion to atheism. The underlying premise of his message is that the existence of a supernatural God who designed and created everything including human beings is indefensible. From his perspective, atheists are independent thinkers, and believers in a supernatural God are simply victims of childhood indoctrination. His kindest thought for the "deluded" is that ignorance is not a crime. In rejecting "God" or the intelligence that created the universe, he calls for a twenty-first century "atheist pride. 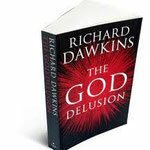 "14 His primary purpose is to assist others in their rejection of "the God Hypothesis": "If this book works as I intend, religious readers who open it will be atheists when they put it down. "15 The marketing "to get rid of God" is well done.16 Dawkins puts his imagination to work and surrounds his imaginary "atheistic self" with an imaginary reality (expressed in various forms: books, film, DVD, tee-shirts, stickers, lapel pins, and so forth) apt to con firm himself in his "scientific" pretense of reality. Under a veil of skepticism and wit, Dawkins tends to deny his humanity and insist he is nothing but his shrunken atheist self—to deny ever having experienced common reality. He denies that anybody could have a fuller scientific perception of reality than he allows himself. In brief, in The God Delusion, Dawkins sets the contracted atheist self as a model for himself as well as for every body else. Moreover, his insistence on atheist conformity in rejecting God is carried on by intellectual aggres sion—and this aggressiveness betrays in itself the anxiety and alienation of the man who has lost contact with reality. What Voegelin means is that there is a possibility of eclipse, a risk of distortion in the process. The pole of the known, in our experience and reflection, is "God." The pole of the knower is the human carrier of cognition, you and I, who also create the symbols that refer to the known, "God." When we turn toward the experiential process and the cognitive tension as a whole, the process will become the something we acknowledge as real. This process, however, between the knower and the known, as in Dawkins's case, can be twisted. Is Dawkins out of touch? Is God a delusion? No, God is real! You and I are real! These are the facts, the two realities in one overall experiential process in reality. How can it happen then that one of those two poles is denied? By refusing to mention either the "human pole" or to accept the "God pole" of the experiential tension, one refuses or eclipses reality and creates a disturbance in the process, which in itself can lead to a revolt against reality. Dawkins had argued against creationist explanations of life in his previous works on evolution. The Blind Watchmaker (1986)19 develops the theme that evolution can explain the apparent design in nature. In The God Delusion he expands his argument against the existence of God, yet he is less convincing in arguing that the world would be better and more peaceful without religion. The "evolution card" played by Dawkins is the "scientific justification" by which he believes he can wipe God from the map of global consciousness. We could formulate the predicament of The God Delusion as follows: if one posits the world (or science) as an absolute, then man necessarily becomes a function of the world, and consequently, God becomes a function of man. In other words, with the world as an absolute, everything comes from the world and God is created (explained, denied, banned, or even killed) by man. It is not that science really can disprove God's existence, but it is rather Dawkins's misconstruction of reality that degrades God to the level of delusion. Instead of the original reality, in The God Delusion we have one part of that reality (the world, science) made by Dawkins into an absolute and so all other parts of reality must be constructed as a function of that one absolute so-called "scientific reality" or "atheist pride," which is in fact only a small part of reality. According to Voegelin, reality, which includes God's presence, continues to exist as before. If one insists that one part of that reality is "the scientific" or "the atheistic" reality (the absolute), then one must do something about the rest of reality—that is, kill or claim God as nonexistent— which one no longer credits with being reality; one then has to construct it as "dependent." For this construction as a dependent, Voegelin uses the term "function." The God Delusion represents certain favorite constructions for expressing such a functional characteristic. Following Dawkins, it is acceptable to believe that there might well be other beings of superior intelligence out there in the cosmos—as long as they are not God. For him, it is acceptable to use terms like spirituality (which are vague enough to be useful in proclaiming "atheist pride") to describe the awe-inspiring feeling that overcomes man when he considers the beauty of the universe, as long as he doesn't symbolize it as "God." In Dawkins's theory, it is tolerable to have faith in physicists to solve the questions of how everything came into existence— as they just need more time—but to say that God gives them the intelligence and life to do so is unacceptable. In response to Dawkins and other evolutionists, Voegelin would point to the role that the theory of evolution has assumed in this erection of man into a function of the world. The theory of evolution, not as a scientific theory but in its broader ideological sense, reduces man to the outgrowth of natural evolution. In Voegelin's perspective, one cannot reduce man to a process of natural evolution, beginning from inorganic processes and culminating, after a chain of organic development, in man. Man, for Voegelin, is more than a function of nature; man is not a "last product" so to speak. Voegelin explains that almost a century before the theory of evolution was formulated in the Darwinian form, people were already talking about the problem of evolution. It was much discussed shortly before 1750. For Voegelin, Kant gave in his Critique of Judgment the reason why a theory of evolution cannot serve the purposes for which it was already being used: to make man a function of nature and of this world. For if one puts man as the last item in a chain of evolution, one can then trace him back through life in its simplest forms to inorganic matter, even to subatomic particles. That is, one does not have a beginning of man: one cannot explain man by arbitrarily putting a beginning somewhere within that chain. According to Voegelin, if one takes evolution seriously, one has to go back further into the vegetative and into the inorganic part, and then one arrives at the question of the matrix of a matter that contains all this evolution as potentiality. Voegelin insists on continuing the questioning: Where does that matter come from? Who devised it and who endowed it with that evolutionary force that let it culminate, in the end, in man? How can one explain all this? So, no tracing back to an imaginary beginning gets us around the question that there is no beginning in time, but the beginning in Voegelin's line of thought is always a mythical or metaphysical problem. He refers to the famous question of Leibniz: "Why is there something; why not nothing?" and "Why is that something as it is?" And that is then at the beginning. Although Voegelin does not have any prejudice against the empirical content of scientific observation concerning evolution, he thinks that a theory of evolution does not fully furnish an explanation of man; it only shoves it back to an imaginary beginning. Explanations that see man as a function of nature on the basis of a theory of evolution always rest, Voegelin argues, on the assumption that there is nobody present in the audience who will ask questions such as Kant's. Finally, Voegelin would say that only when the premises go unquestioned can the argument of evolution work. He refers to the problem of illiteracy and mentions that many theories can be developed, like a theory of evolution, because many people do not feel the need to ask such questions in the first place.21 It is the task of the philosopher to do so. In chapter eight, Dawkins writes: "As a scientist, I am hostile to fundamentalist religion because it actively debauches the scientific enterprise. It teaches us not to change our minds, and not to want to know exciting things that are available to be known. It subverts science and saps the intellect. "32 In other words, the greatest crime of "fundamentalist" religion is to think without asking scientific questions. To become angry in our situation is understandable, but too easy. What is difficult is to be angry with the right person or group—should we be angry with all religious fundamentalists?—and to the right degree, and at the right time, and for the right purpose, and in the right way. Yet, one could argue if becoming angry at all would make any sense, as we are fighting here over a deformed language symbol that has lost its contact with reality. In the end it is not the word "God" that makes us angry, but the helplessness and alienation of the situation we are in. In Voegelin's essay, "Immortality: Experience and Symbol," he writes that the symbols in the sense of a spoken or written word are left as traces in the world of sense perception. Their meaning, according to Voegelin, can be understood only if they evoke, and through evocation reconstitute, the engendering reality in the listener or reader. What people tend to forget nowadays, is that the symbol "God," for instance, exists in the world, but its truth belongs to the transcendent (or "nonexistent") divine-human experience which by this means articulates itself. This intangibility of the experience of the divine renders the symbol "God" and its truth vulnerable to the ups and downs of history. Because the originating experience of divine reality, as in the present crisis, can fade away, even the most adequate interpretation of an experience of "God" can achieve no more than words that are the external shell of an original complete reality containing both the experience and its articulation. As soon, however, as the symbol "God" has separated from this fullness and acquired the status of a literary account or religious dogma, the tension between an engendering experience of divine reality, and the symbol "God" engendered, is liable to separate into a piece of cold information and its dogmatic subjectmatter. There is no guarantee that the reader of this account in the present God confusion will be moved to a meditative reconstitution of the engendering experienced God-reality; one may even say the chances today are slim, since "God" is seen as "Delusion," and honest meditation requires more energy and discipline than most people are able to invest. Still, the tension we experience, as revealed in the emotional responses to The God Delusion, shows that we cannot do without the truth conveyed by "God" as one of the key symbols. So the pressure on us is great to restate the original account of "God," interpreting the key experiences as a set of simple propositions, rendering what each person or translator considers its essential meaning. If submitted to such proceedings, the truth of "God," the account of the experience of divine presence, will take the form of doctrine, as do the propositions, "man is immortal" or "the soul is immortal," or else, in Dawkins's case, "man is a product of an extended process of evolution." 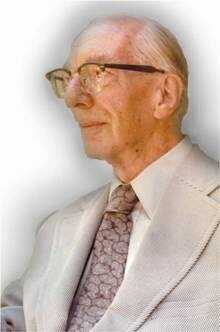 33 In themselves, such statements are fine, but Voegelin saw that doctrinal propositions of this kind are liable to give rise to various kinds of experience, such as uncritical acceptance of "Science," "God," or even more deficient (scientific) modes of understanding who or what "God" is. What Voegelin tries to explain is that no matter what doctrine you hold—be it philosophical, religious, or a "Dawkinsian doctrine" of scientific atheism—each may be in danger of the same thing, namely, that it can lose the connection to what it represents. The transformation of "God" into religious doctrine or the alteration of Darwin's evolution theory into (Dawkins's) atheistic doctrine is not the last hammering that truth can suffer. When "Science" or "God" assumes social prevalence as doctrinal truth, even the facts of the process by which religious or scientific doctrine derives from the original account, and the original account from the engendering experience, may get lost. Seeing that the symbol "God," as in our contemporary world, may altogether cease to be transparent for divine reality, equally the term "Science" can be deformed into nothing more than delusional consumerism. "God," as in Dawkins's case, will be misunderstood as a figment of the imagination, a proposition referring to "a thing" in the manner of a proposition concerning an object of sense-perception; and so the delusional "It," which for Dawkins has neither relationality nor supernatural reality, will provoke the reaction of skepticism and ridicule. The scale of "God-mockery" devolves from a suspension of judgment, to vulgar agnosticism and atheism, and further on to the smart idiot questions of "How do you know there is a God?" and "How can you prove God exists?" that every college religious teacher knows from his classroom. Martin Buber, I and Thou, trans. Ronald Gregor Smith (Edinburgh: T. & T. Clark, 1958). See also Martin Buber, Gottesfinsternis: Betrachtungen zur Beziehung zwischen Religion und Philosophie (Zürich: Manesse Verlag, 1953). Eric Voegelin, "The Gospel and Culture," in Jesus and Man's Hope, Vol. 2, ed. Donald G. Miller & Dikran Y. Hadidian (Pittsburgh, PA: Pittsburgh Theological Seminary Press, 1971), 59–101. See also The Collected Works of Eric Voegelin, Vol. 12: Published Essays 1966–1985, ed. Ellis Sandoz (Columbia, MO: University of Missouri Press, 1999), 178. Eric Voegelin, The Collected Works of Eric Voegelin, Vol. 31: Hitler and the Germans, trans. & ed. Brendan Purcell & Detlev Clemens (Columbia, MO: University of Missouri Press, 1999), 51–69. Voegelin points toward the restoration of order. For him, it is precisely the revolution of the Spirit, what he will refer to as the Platonic periagogé, the turning round or conversion of the soul, that he upholds as an answer to the aversion from truth and justice which characterised the totalitarian ideology. Meins G. S. Coetsier, Etty Hillesum and the Flow of Presence: A Voegelinian Analysis (Columbia, MO: University of Missouri Press, 2008). 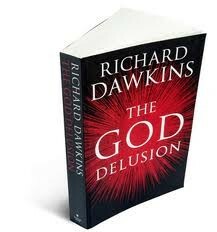 Richard Dawkins, The God Delusion (London: Bantam Press, 2006), 37. Ibid., 5. Dawkins refers here to Robert M. Pirsig, Zen and the Art of Motorcycle Maintenance: An Inquiry into Values (London: Bodley Head, 1974). Eric Voegelin, "The Eclipse of Reality," in The Collected Works of Eric Voegelin, Vol. 28: What Is History? And Other Late Unpublished Writings, trans. & ed. Thomas A. Hollweck & Paul Caringella (Columbia, MO: University of Missouri Press, 1999), 111. Dawkins, The God Delusion, 31. Voegelin, "The Eclipse of Reality," in What Is History?, 112. Richard Dawkins, The Blind Watchmaker (New York: W. W. Norton & Company, Inc.,  1996). Eric Voegelin, The Drama of Humanity and other Miscellaneous Papers 1939–1985, The Collected Works of Eric Voegelin, Vol. 33: The Drama of Humanity and Other Miscellaneous Papers, 1939–1985, ed. William Petropulos & Gilbert Weiss (Columbia, MO: University of Missouri Press, 2004), 222–23. See also Immanuel Kant, Critique of Judgment (esp. Kant's first introduction), trans. Werner S. Pluhar (Indianapolis, IN & Cambridge, MA: Hackett, 1987). For further reading, see also Critique of Practical Reason, trans. Lewis W. Beck (New York: Liberal Arts, 1956) and Critique of Pure Reason, trans. Werner S. Pluhar (Cambridge, MA: Hackett, 1996). Voegelin, Published Essays 1966–1985, 69. See Feuerbach's psychology in The Essence of Christianity, where he states that dogmatic propositions are projections of the world-immanent consciousness of man. Voegelin believes that Feuerbach's psychology of projection has remained one of the pillars of the ideologist's creed ever since. The God Delusion, 172. Voegelin suggests this kind of thinking started with the breakdown of the German Idealist systems after Hegel, when the question had to be asked very energetically: Where do all these ideas come from, if one cannot explain them in the specific Gnostic form of, for instance, an Hegelian system that has been rejected? The psychology of religious ideas as projections has its critical beginning here. Of course, Voegelin is aware it has its prehistory going back into the seventeenth century, but he doesn't want to go further into that. Eric Voegelin, The Collected Works of Eric Voegelin, Vol. 5: Modernity without Restraint, Political Religions; The New Science of Politics; and Science, Politics, and Gnosticism, ed. Manfred Henningsen (Columbia, MO: University of Missouri Press, 2000), 279. On the Superman of Feuerbach and Marx, see Henri de Lubac, Le drame de l'humanisme athée (3rd ed., Paris: 1945); for an English translation, The Drama of Atheist Humanism, trans. Edith M. Riley, (New York: New American Library, 1950). See also, Eric Voegelin, "The Formation of the Marxian Revolutionary Idea," Review of Politics 12, No. 3 (1950): 275–302 and The Collected Works of Eric Voegelin, Vol. 10: Published Essays 1940–1952, ed. Ellis Sandoz (Columbia, MO: University of Missouri Press, 2000). Nietzsche, No. 230, Jenseits von Gut und Böse, in Werke VII (Leipzig: 1903), 197–88; English translation: Beyond Good and Evil, trans. Marianne Cowan (Chicago: 1955), 158–59. See also David J. Walsh, The Growth of the Liberal Soul (Columbia, MO: University of Missouri Press, 1997). Possible substitute grounds of being: (1) the balance of economic forces, (2) the balance of power, (3) striving for profit collectively (a Marxist revolution), (4) the survival of the fittest or evolution, (5) attempt to order history according to the races and the struggle of races, (6) satisfaction of one's passions. For more detail see Eric Voegelin, The Drama of Humanity, 224–34. Eric Voegelin, Published Essays 1966–1985, 175–76. Thomas Crean, O.P., A Catholic Replies to Richard Dawkins (Oxford: Family Publications, 2007); Richard Dawkins, The God Delusion (London: Bantam Press, 2006); Anthony Flew, with Roy Abraham Varghese, There Is A God: How the World's Most Notorious Atheist Changed His Mind (New York: Harper One, 2007); Alister McGrath, Dawkins's God: Genes, Memes, and the Meaning of Life (Oxford: Blackwell, 2005); Alister McGrath, with Joanna Collicutt McGrath, The Dawkins Delusion: Atheist Fundamentalism and the Denial of the Divine (London: SPCK, 2007); David Robertson, The Dawkins Letters: Challenging Atheist Myths (Fearn, Ross-shire: Christian Focus, 2007). Buber, Eclipse of God: Studies in the Relation Between Religion and Philosophy (New York: Humanity Books, 1988), 8–9.